Wondering how IoT can improve the lives of the elderly or disabled? Check out this evaluation of IoT technologies that improve the lives of those with special needs. Nowadays, we are witnessing the growing impact of IoT on our everyday lives. There is an IoT solution even for our most eccentric needs. There are countless ideas of how to make our lives easier and smarter. That being said, the great challenge for IoT solutions is to achieve the enhancement of daily routine for the elderly and people with special needs and help them have more independent, quality lives. Home automation devices let you control your home with ease; smart appliances, lighting, security, and environmental controls are some examples. Imagine what this might mean for groups of people with disabilities and how it can change their life in a significant way. Amazon Echo is a smart home speaker that houses Amazon's Alexa virtual assistant, a “Deus ex machina” that helps you complete daily tasks by connecting to your smart devices — that are Alexa compatible — and gives you full control over them using only your voice or an artificial voice. 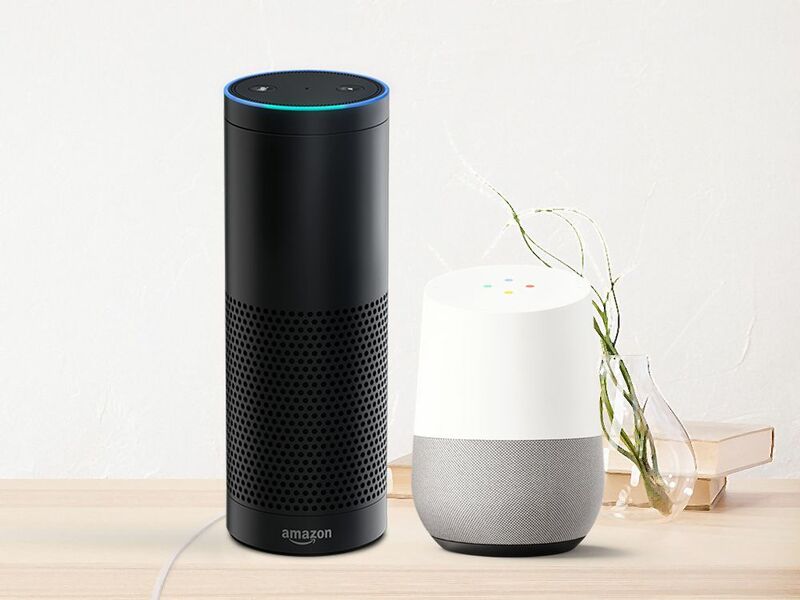 Another example is Google home, a voice-controlled device with a built-in Google assistant, that also supports a variety of features and integrations. This means that not only people with mobility problems can benefit from this IoT solution, but someone who requires a communication aid as well. And, this is huge. Alexa and Google assistant cannot be a substitute for a caregiver, of course, but they do offer self-sufficiency, and this, in turn, can offer mental wellbeing. 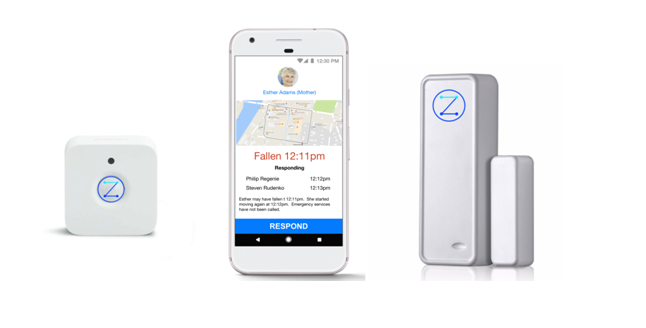 Zanthion provides an IoT solution for senior citizens or people with special needs and disabilities who are less able to live without assistance. The solution consists of a monitoring alert app with embedded event chat along with advanced sensors installed in specific points in the homes. The great thing about this is that potential falls are mitigated by understanding individual gaits looking for changes that are warning signs of a fall. If a person suffers from Alzheimer’s or dementia, alerts can be sent to neighbors and family about open refrigerator doors, open windows, and wandering outside a comfort zone. This is essential, especially when we deal with serious conditions. There are numerous wearables on the IoT market, and their number is growing at a rapid pace. 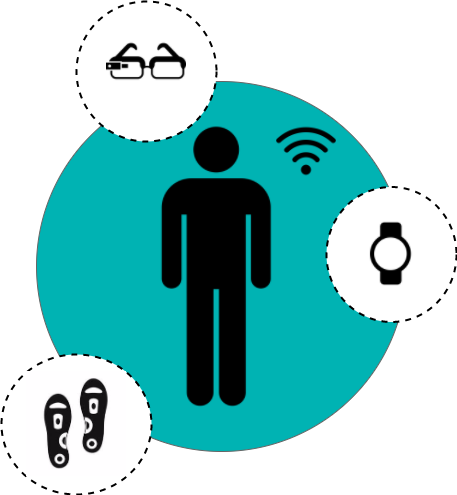 From smart watches to smart clothes, shoes, glasses, the list goes on. Without any doubt, all these devices contribute significantly to the optimization of life for people with special needs and disabilities. 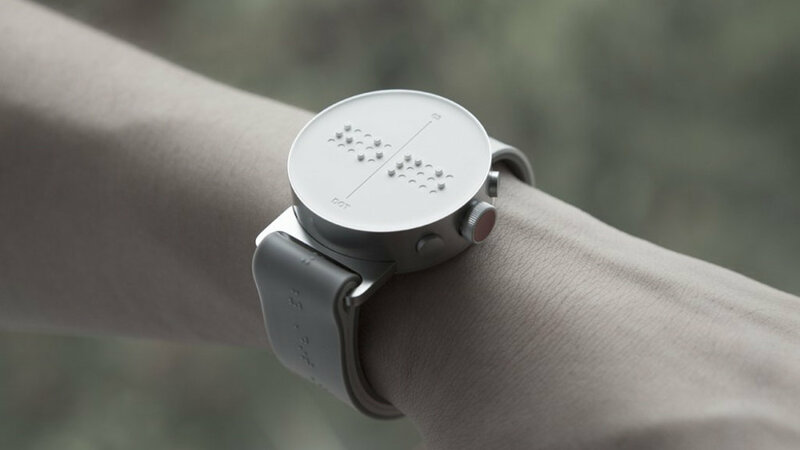 Dot is the world’s first Braille smartwatch. With the use of Bluetooth to sync with your phone, instead of displaying messages on a touch screen, Dot relies on a sleek grid of rising and falling dots that spell out Braille words in four characters at a time. Dot can receive any text or message from any application and also contains all the standard options someone would expect from a smartwatch. When a call is coming through to the attached smartphone, the Dot watch vibrates and displays the name of the caller on the Braille readout. Using the buttons on the side, users are also able to send short replies to emails and messages. This seems like an ingenious IoT solution for people with impaired vision since it offers a bunch of uses that further facilitate their daily routine. 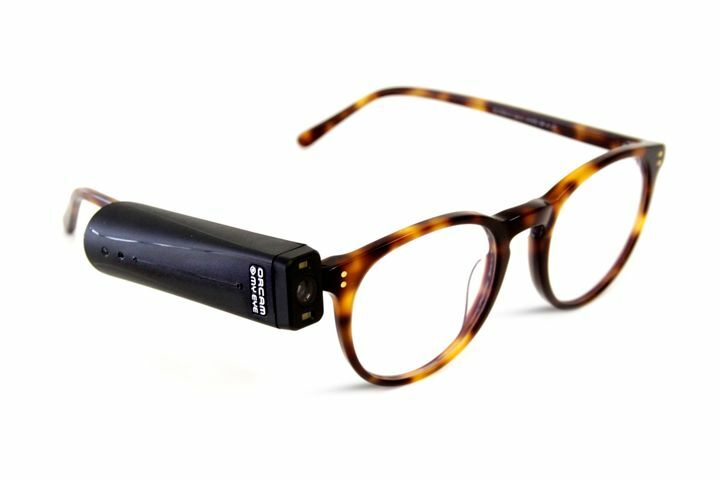 Orcam MyEye 2 is an artificial vision device with a lightweight smart camera, which attaches magnetically to the temple of nearly any pair of glasses. This device is mainly designed for blind and visually impaired people and those with reading difficulties. It enables face recognition, reading text aloud from any surface with just pointing a finger at what you want to read — even barcodes, money notes, and color recognition in real time. This high-end technology sets new standards for people with vision problems, and it is remarkable how these people can now practice independence in their everyday lives. Path Feel is a smart insole which helps people with mobility issues to walk more easily. The insoles have sensors that feel the pressure of the feet landing on the ground and provide vibration feedback to the wearer. This enhances the confidentiality for senior citizens or people with peripheral neuropathy and general balance issues to walk more easily. Imagine the sense of autonomy and excitement that this mighty insole can deliver! 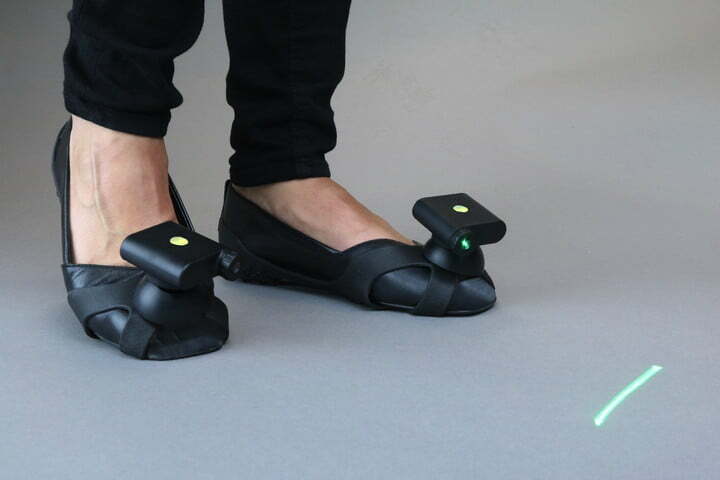 Path Finder is a shoe attachment that is specially designed for Parkinson’s patients who suffer from ‘Freezing of Gait’ (a gait disturbance that can leave individuals feeling as if their feet stick to the floor). Pathfinder is able to provide visual cues by projecting a green laser in a line, which breaks this Freezing of Gait, allowing people to walk with independence and minimize the risk of falls. Pips prototypes are smart configurable, connected buttons and were originally designed by Nominet to help people with a cognitive or sensory impairment to organize their daily routines. Each Pip is a round button the size of a jam jar lid and customizable, coming in a variety of colors that are available along with relevant icons or text as a reminder of the task. Once a button has been pressed, it turns off and activates the next Pip in the sequence. The potential here is enormous and very promising for a significant percentage of people with special needs, such as dementia or memory loss. 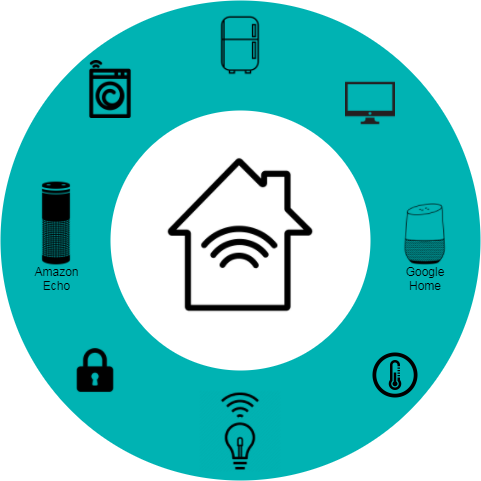 Nominet announced the availability of instructions for building smart IoT buttons and made the code for building Pips publicly available and open source. As we can see a new generation of devices and applications emerging, these devices can drastically change the lives of people who actually need them. Only one thing is certain — we are just scratching the surface of this topic, which is extremely interesting and definitely worthy of revisiting in the future.